Matic Network uses an adapted version of the Plasma framework that provides a solution for faster and extremely low-cost transactions with finality on main chain. The Matic Network has a theoretical capacity of up to 2^16 transactions per second on a single side chain. In the future, more side chains can be added in order to increase the number of transactions to millions per second. Matic aims to put a lot of attention on user experience, among other notable features we want to highlight a Dagger. Dagger is a tool to get the real-time updates from the Ethereum blockchain. The tool updates users on events like the wallet transactions or placed bids on DEX and more via SMS, notifications or email. Matic introduces Fraud Proofs which function as an always-running high reward bounty program for parties who wish to get rewarded for spotting fraudulent transactions. 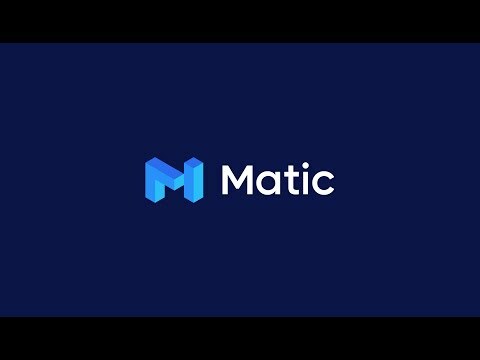 The Matic Network architecture uses an EVM-compatible state machine making it easy to port DApps and smart contracts running on the Ethereum blockchain to the Matic Network. Matic Network intends to integrate multiple blockchain platforms to provide a universal platform for the users to be able to use/exchange their assets from various blockchains. Team - Based on the review of the team credentials in the whitepaper and social media it appears that they have significant experience in blockchain development. They appear to be very active in development of Ethereum Network and associated projects. Vision - The idea of the project is not new as there are many projects trying to do a layer 2 scaling solutions. Blockchain remains at the core of the business as they are trying to solve the scaling problem for the Ethereum. There are already several projects that are trying to build on top of Matic Network. Product - It appears that the project is currently at Alpha Stage. It launched its first testnet in September and has an advanced pre-mainnet version of the network ready internally. Overall decent project. However need to exercise caution as it is not live yet. It needs to achieve high user adoption to be successful. Would be best to wait and watch given the small fund raise size and general hype associated with Binance Launchpad projects. Please note that before reviewing this project & IEO, I conducted my own DD : team background, competitors, project history, various analysis and KPIs, growth potential and a lot more factors. - Team : A solid team, experienced and reactive. Nothing more to add. This is definitely worth a 5/5 for the team. - Vision : There are several projects aiming to solve the block time issue but not many like Matic are focusing on ERC20 & 721 tokens. The vision behind this project contributes in helping the blockchain community in its globality. This is why I am giving a 4/5 for the vision. - Product : Several working products are already released even so the IEO is not yet passed, which is more than most project can accomplish. I have tested the wallet & the Zappier + Dagger and more than being fully functional and safe, they are really user friendly. Let's expect the upcoming products will follow the same logic. Matic deserves a 4/5 for the product. Additional information : This appears to be a serious project lead by a professional team with a bright future ahead. Let's see what Matic brings us in the next 6 months.